(Recto, print) lower center, below image, in black ink: "Close No. 65 High Street, 1868." 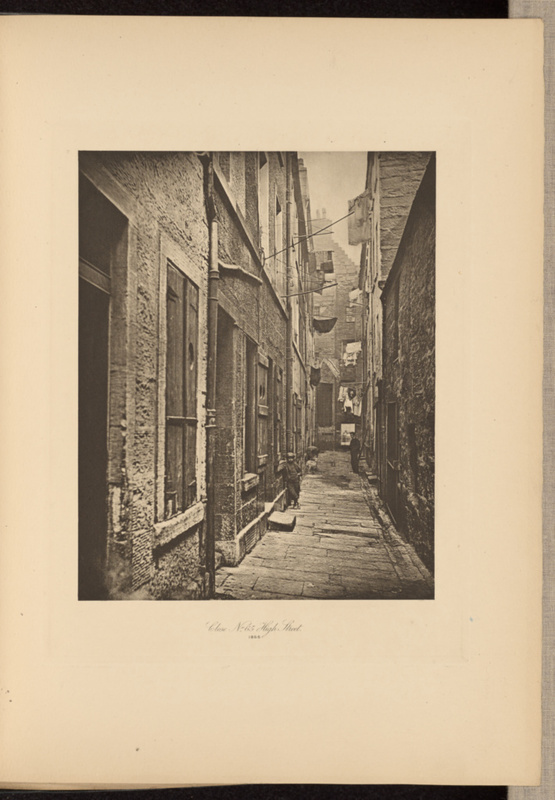 View of a narrow close in Glasgow. A young boy wearing a hat and bare feet leans against a building with legs crossed and hands in his pockets. A man can be seen standing farther down the passageway, while another man tends to an animal. Washing lines hang above their heads between the buildings.